Training and education are an ongoing necessity in the mobile amusement industry. As laws and standards change, our duty to learn, document and be in compliance becomes increasingly more important and more challenging. 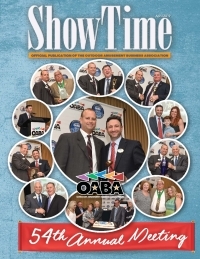 The OABA is dedicated to our mission of promoting safety and providing education in our industry. Our Association has produced numerous training programs and materials to help you grow your business and stay in compliance with the laws that govern the way you do business. In addition to training videos and written programs available for purchase, the OABA can connect you with industry experts who give ongoing training for every level of employee. We are developing webinars and online training programs to keep information at your fingertips and provide training for you and your staff available at your convenience. Make the OABA your partner in keeping your business in touch and in compliance with the laws.